Here's a challenging ball drop game to test your focus and visual perception. 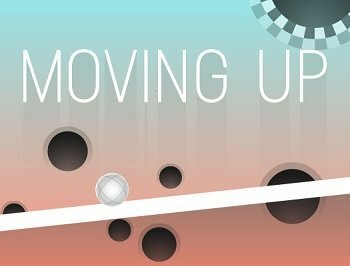 The HTML5/Mobile version Moving Up works on desktop computers and tablets. It is a similar game made by a different game developer. After the game loads, click the PLAY button to begin. This loads Level 1 of the game. 3D Ball Drop is just like the real ball drop maze games you may have played. Guide a small ball through a maze without letting the ball fall through any holes. It's tough! If you like 3D Ball Drop, you might enjoy the other free puzzle games on this site, such as Candy Crush Speed Challenge and Matches Puzzle. HOW TO PLAY. The object of this game is to roll the ball past obstacles and reach the exit square. Your ball is orange, and the exit square is green. Avoid the black squares at all costs. "The aim of this game is to roll the ball onto the green square. If the ball rolls onto a black area (a hole), you lose." Navigate your way through as many maze levels as you can. This game can be frustrating at first. Keep trying, and improve your skill. CONTROLS. To tilt the table, drag your mouse. To change the angle of view, press the Arrow keys. The rules and controls are easy to understand, but the game is quite difficult to play. STRATEGY. My best advice on strategy is to first take a look at the level map in the upper right of the screen. 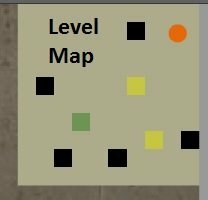 Get an idea of the locations of the obstacles, the holes, and the exit. Identify the best path to the exit. Then, keep the table as level as you can and TAKE YOUR TIME. Rushing is the guaranteed way to fail at this ball drop game. Patience, an eagle eye, and a steady hand are needed to win the day. If the ball falls into a black square, you not only lose the level, you lose the game. That's right, you can't repeat individual levels. This makes this game especially challenging and unforgiving. It's okay, though. Just click the Play Again button that appears, and give the game another try. OPTIONS. There are a couple of graphics options you can adjust if this ball drop flash game runs slowly. You can disable the depth shown on holes, and/or disable the dynamic lighting. Click the OPTIONS link on the main game page to access the options. So far I've managed to reach Level 7. See if you can beat that! This online 3D Ball Drop flash game is based on the real Labyrinth marble game invented by BRIO in Sweden in the 1940's. You can still buy the real Labryrinth game. 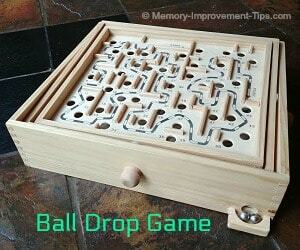 The BRIO toy company (now owned by Ravensburger) still makes the Labyrinth ball drop game. The sell a wooden version and another version that has exchangeable maze boards . I have a wooden Labryrinth game myself that I picked up at a garage sale (see image at left). Like the online version, it's really hard. Puzzle games like this 3D Ball Drop game train important brain skills including concentration, visual perception, and reaction time. Play games like this one often to give your brain a boost! Game distributed by Funnygames.us. Used with Permission.